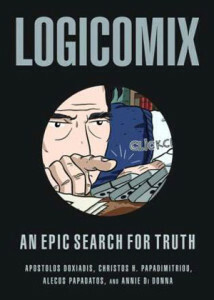 Logicomix is a comic book about British philosopher Russel Bertrand’s life and his quest to form the foundations of mathematics. It covers heavy subjects such as boolean logic, set theory, Russel’s paradox and incompleteness theorem in a light format: a comic book. It reminded me how powerful and entertaining visual story telling is and how books, comics, movies and photography are all different forms of story telling. The book takes place during the Second World War and covers Russel Bertrand’s personal life, his upbringing, his academic work such as Principia Mathematica and Russell’s paradox. The narrative of Logicomix is interesting as well: it mixes the authors trying to write this comic book with Bertrand telling his life story during a talk to convince people whether they should support the war between Germany and Great Britain or not. Even though it falls short of providing a deep explanation of mathematical concepts presented at times, it is a very entertaining read regardless.